Check out this Link that discusses Personalized Blood Flow Restriction. First, I want to give an overview Next Level Therapy where I have received a program for recovery that has me on my feet, back in the gym, and active after Patella Microfracture and Lateral Release surgery in less than 3 and half months. If you need physical therapy specifically or appropriate and safe training for work outs this is the place!!! Jim the owner is amazing and not only cares for his patients genuinely but is encouraging and a wealth of knowledge. My therapists Kylie and TJ have excellent educations not to be beat and makes sure I do what I need within the speed I should to make my recovery a success. There are many therapists to choose from and I haven’t met one yet that doesn’t love what they do here. They are ‘in to win it’ for the patient and it shows. Now let’s chat BFR (Blood Flow Restriction). I began working with my therapist TJ at the beginning of the year and he is certified in BFR which is very new to the general patient. It was originally developed by the military and is used by professional athletes for their recoveries. I was very frustrated because I am such an active person and want to get back to the gym on daily basis being able to do my TRX and body resistance training without my knee popping or having any pain. TJ suggested BFR to speed up the process of recovery and taught me how it was developed and made me feel comfortable and confident in moving forward with it. I could not be happier with the results and the results were immediate! After the first session of BFR I could literally feel the knee reacting in a different manner. 90% of the popping ceased and even when it did pop there was no pain associated. I have now had 4 sessions and my knee has not felt this good in over 15 years. BFR uses a machine similar to a blood pressure cuff and the cuff is placed around your extremity that needs the strength increased and recovery induced. The cuff tightens to cut off blood to the muscle as you work out to create a muscle failure registration in your brain. The workouts consist of mainly squats and hamstring curls and are done in sets of 30, 15 sec. break, set of 15, 15 sec. break and on until the muscle completely fail and you can no longer continue. After the release of the cuff the brain immediately begins pumping the necessary recovery chemicals and endorphins at a much higher amount because it thinks the muscle has just had the hardest workout ever. Just for the record it is not painless but is bearable especially if you want to heal almost 2 to 4X faster than you normally would. It is also well worth the money, each session is only $35, not covered by insurance, however, I have never had a medical or recovery procedure work so well and so fast. I would recommend BFR and the experts at Next Level to anyone. They work to your pace and make sure you are comfortable. It is also a blast to go there. They are funny, listen to awesome music, love to talk sports among other topics. Every time I arrive I’m done working out and improving my recovery, before I know it, the hour just blow by. Reach out and contact them, ask questions, and see if they are fit. It will be worth it. Last, if you have questions about BFR you can read this article ( http://www.sportsmed.org/AOSSMIMIS/members/downloads/SMU/2017Spring.pdf ) to start and then I would suggest calling TJ and having him walk you through what it can do for you. Happy recovery!!! In April of 2017 I had a complete knee replacement surgery and I had the good fortune of being referred to Next Level for my Physical Therapy. 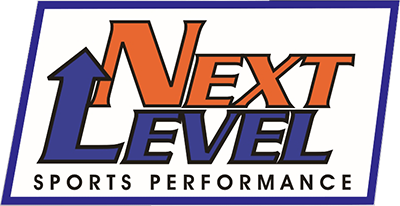 My recovery was going extremely well and most of that was thanks to the great staff at Next Level. Unfortunately, in May of 2017, I slipped on my stairs at home and ended up with a complete tear of my quad muscle and tendons, one of the worst that my surgeon and Next Level had ever seen. It required a second surgery and that recovery was and still is much more difficult. During the recovery process, Jim, Joe and TJ had been talking to me about a new process they had been studying and working with called BFR and they explained how they thought it might really benefit me. I agreed to give it a try because everything they had previously advised me to do has been very beneficial. I was the first “victim” (TJ’s word!) to have BFR performed at Next Level and all I can say is WOW. What a difference that process has made in my recovery, from the very first time the gains and improvements have been amazing. I am quite sure, without any exaggeration, that I would be nowhere near the stage of recovery that I am currently at without the help of BFR and the Next Level staff, I recommend them to anyone that I even overhear saying they have a need for Physical Therapy, not only are they the best in the business but they make you feel like family and truly care about their patients. I think I have worked with everyone on the entire staff and I have never been disappointed. All I can say is Thank You to the entire staff at Next Level for being at the top of their game and for being the leaders in the industry with innovative technologies like BFR, you guys really put your patients first!! !